A mirror delivers clarity and is capable of accurate reflection. A need for transparent image arises at the time shaving or applying make-up. Insufficient light makes personal grooming cumbersome and irritable. 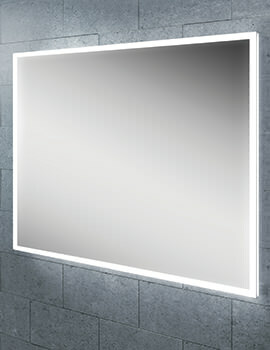 QS Supplies have carved a niche for itself as a supplier of LED mirrors. We have listed finest collections from well-known manufacturers such as HIB, Hudson Reed, Roper Rhodes and Phoenix. Made from best materials, these are equipped with the advanced LED technology. 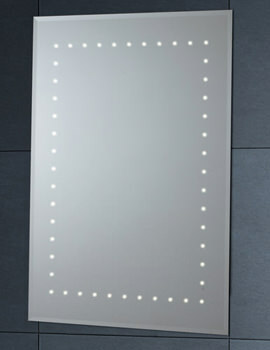 LED Lights lend an aura of grandeur to the bathroom. 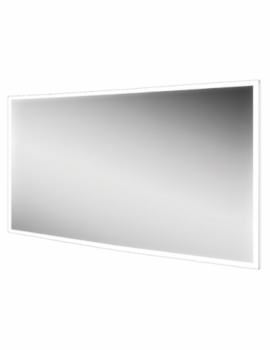 Mirrors at our online store are also available with Halogen lights or Fluorescent tubes. Tubes or Lights are fitted either with a side panel or fixed atop, which makes them superior to an ordinary one giving you a sharper image and reduces strain on your eyes. We promote and encapsulate a range of brands that perpetually develop their products to introduce convenience into the lives of our customers. We offer diverse styles such as Portrait, Landscape, and Canopy installed, or a mirror with bevelled edge. Products listed on our website and store are warranty/guarantee attached.